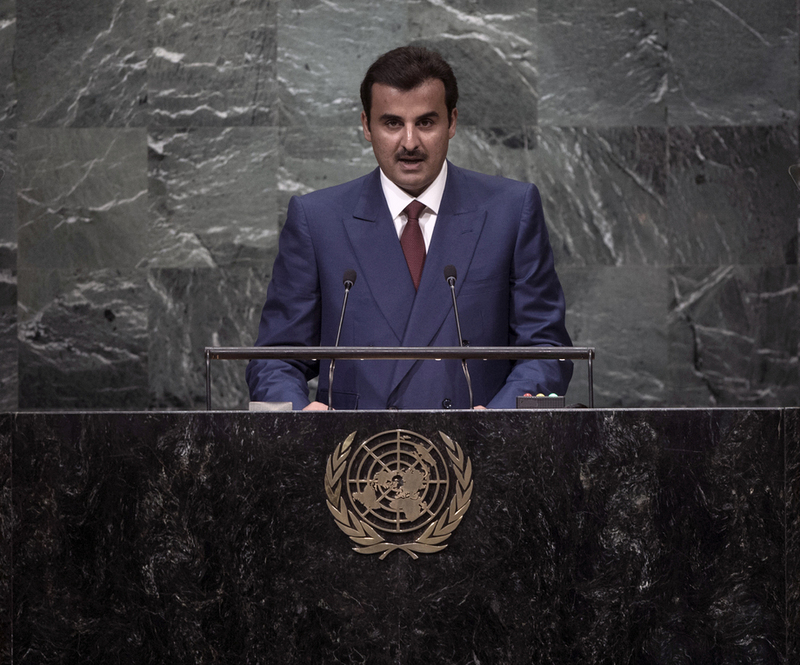 SHEIKH TAMIM BIN HAMAD AL-THANI, Amir of Qatar, warned against the “selectivity” of the Security Council in addressing world problems, particularly those relating to the use of force. He highlighted, in particular, the international community’s failure to bring about a just resolution of the Israeli‑Palestinian conflict and the lack of action in the face of violations of so-called red lines in Syria. Turning to other conflicts affecting the Middle East, including the five-year-old Syrian civil war and the conflicts in Libya and Yemen, he said the Syrian regime had deliberately dragged what had started as a peaceful uprising into violence. Underlining the international community’s inaction in relation to protecting civilians, he said that “red lines were set for the regime […] yet those who demarcated those lines have not felt provoked to raise a finger”. On Yemen, he blamed the international community’s negligence in implementing Security Council resolution 2216 (2015) for that country’s ongoing political turmoil. Similarly, in Libya, he said that some countries supported forces working against international resolutions. In addition to security measures to combat terrorism, he said it was important for the world to tackle its social roots and the circumstances contributing to the promotion of radical ideologies, including desperation and lack of opportunity. “We must be diligent in defining terrorism and standing against it,” he said, adding that such a definition must not be altered according to the identity of the perpetrator or the victim, or in the furtherance of certain political interests. He reiterated Qatar’s support for efforts to eradicate and root out the phenomenon of terrorism, within the framework of international legitimacy.